It’s episode 131 of Children of the Force! We’re wrapping up our main coverage of Star Wars Celebration. Hear all about our days 3, 4, and 5. We crammed a lot in there and now we’re happy to spew all of our memories into your ears! The Rebels Remembered panel was great, emotional and hilarious. The cosplay was next level. Then we went to the Sisters of the Force panel on the Celebration stage, which was a great conversation full of appreciation and tears. The energy in that stadium was so amazing. But actually, we ended the day with the Podcast Meetup at the hotel bar. It was a blast. So fun to meet some of our fellow podcasters. EK Johnston signed a couple books and we had a great conversation with her about Crokinole. Then we met Andi Gutierrez and Anthony Carboni and Scott Bromley! I got Anthony Daniels autograph on my 1977 trading card of 3PO! And he held the action figure I’ve owned nearly my entire life! We saw the awe-inspiring completed diorama. Met Ryan and Dillon from the Me and My Padawan podcast. We ran into the Geeky Bubble crew! And we got Peter Mayhew’s autograph on my 1977 trading card of Chewbacca! It’s episode 129 of Children of the Force, coming to you from Star Wars Celebration Chicago! It’s a Star Wars Celebration Chicago minicast of Children of the Force! We are in … well, Schaumberg. Which is a suburb of Chicago. But by the time you listen to this, we might just be in Chicago at our hotel across the street from STAR WARS CELEBRATION!!! There’s going to be so much to talk about these next few days, we thought we’d do a quick little episode from the hotel room tonight. Enjoy! It’s episode 128 of Children of the Force! We’re hopping back on the Star Wars watch-through train! ROTJ, TFA, and TLJ are on the list for sure. And maybe Battlefront II cut-scenes? Anna and Al are into reading Queen’s Shadow. It’s great. Black Spire has a cover! Is Taika Waititi playing an assassin droid? Maybe. Master and Apprentice Celebration exclusive cover has been revealed! Also, the Queen’s Shadow exclusive! Our mild spoiler canon news comes from Queen’s Shadow. What did Anakin say when he found his lost Naboo credit chip with an image of Padmé on it. Now that we have more info about Celebration, what are we looking forward to most? Who would we want to run into the most? We’ve decided on our autographs: Peter Mayhew, Joonas Suotamo, and Janina Gavankar! I run down how the lottery and reservation system works. We’re super happy about it. Liam shouts out to Fred and Blaine, friends of his who recently started listening to the show at episode #0. Maybe you don’t want to buy a shirt, but you want to donate a dollar or two a month to support positive, progressive, family-friendly Star Wars podcasting. You can donate to us on Patreon! Most importantly, here are the ways to listen to us! Thanks for stopping by! Scroll down a bit to see our most recent episode and let us know what you think! 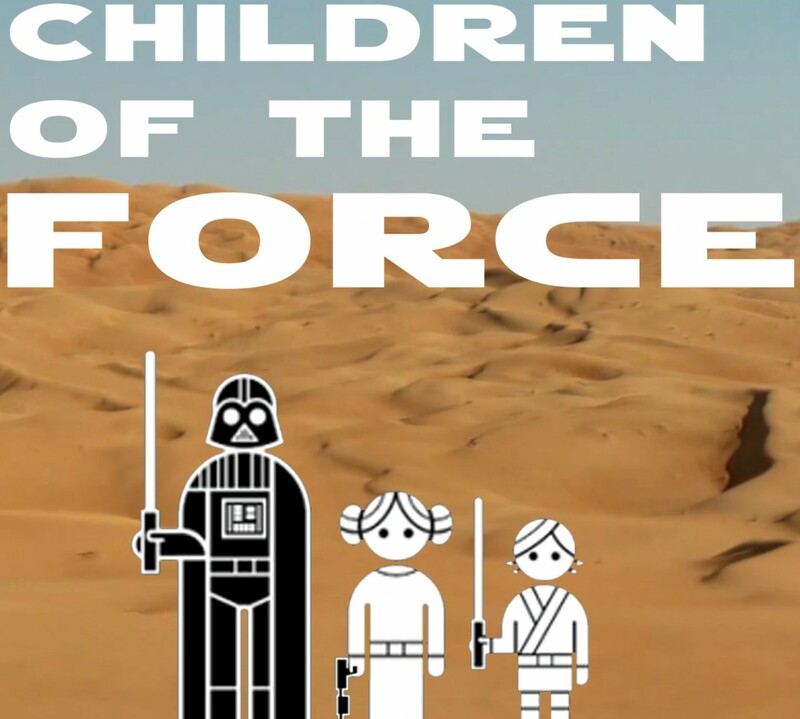 It’s episode 127 of Children of the Force! I started reading the great Queen’s Shadow by E.K. Johnston. Isaiah left us a voicemail! We watched the season finale of Resistance. No spoilers here, but it was pretty darn good! We also talk about Star Wars Creature Madness! We don’t have a title. And that’s OK.
Galaxy’s Edge looks amazing! Check out Nerdist and Entertainment Weekly for photos and more! Check out this animatronic Hondo! Michal sends the response to her question about what story change we could make if we could. Her thoughts dwell on Padmé, as well. And we read her fantastic email all about Padmé surviving. We cover all of the panels and guests that have been announced in the last few weeks. This question comes from Evan: What’s the name of the species who built Jabba’s palace?